DIY 2 Ton Gantry Crane for garage shop or business use. Easily fabricate this Gantry Crane yourself and save money while doing so. 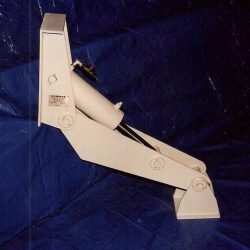 Ideal for lifting heavy objects from your truck bed or trailer. 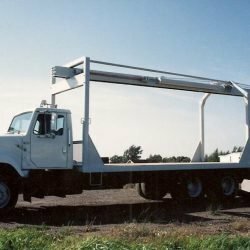 Remove truck & car engines with ease, no more hassle as the gantry crane gives you the room with overhead removal. 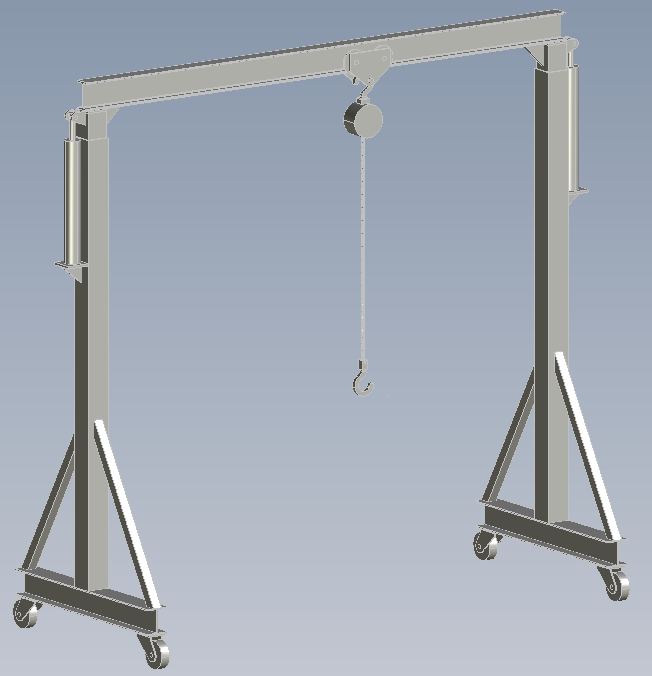 Save time and headaches with your own moveable overhead Gantry. Works great for different garage or workshop ceiling heights. The 2 hydraulic jacks on each end make it adjustable so you can move this around the shop where overhead clearance is a problem. The overall height when retracted is 10ft. OVERALL WIDTH = 10 Ft.
Raises From 120 inches up to 140 inches in height. Build this any height by easily changing the vertical square tubing length. This is a simple to build easy to follow Gantry Crane. These are professionally designed plans that don’t just give illustrations, pictures or “scenarios” on how to build but are actual blueprints/drawings. 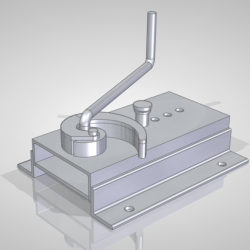 The shop drawings include all the information you need for completing and conform to metalworking industry standards. If you have questions don’t hesitate to send us an email! 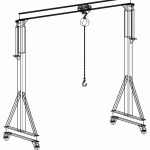 Download the mobile gantry crane plans today, build yourself and save money. 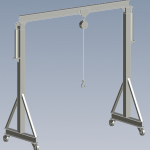 Your completed Portable Gantry Crane will make lifting and moving objects easy.